Ceasar sired a litter December 5, 2004. We'll be putting pictures up during the week of January 2, 2005. 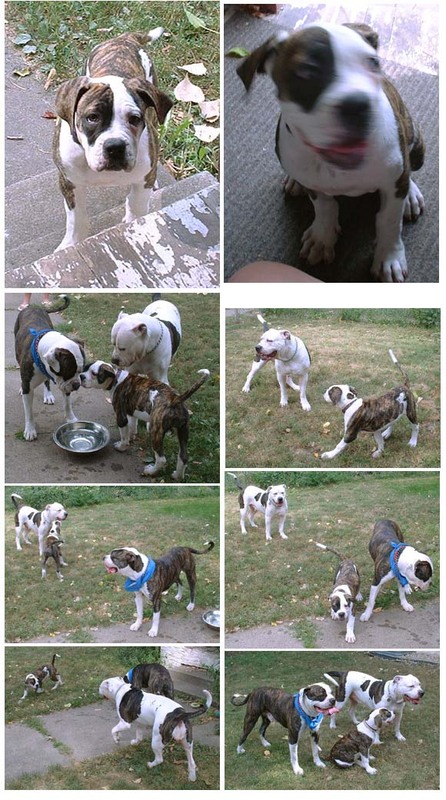 Click for photos of these American Bulldog puppies. We'd like to invite those of you out there who've gotten pups to give us a call and bring them by so we can get some more pictures to put on the site. Ceasars owner has been in touch with us and is happy to inform us she has found a mate for him. She's sending us a picture so we'll put it on the site when we get it. It looks more like early spring as a possible time for Sugar having another litter at this point. Ceasar's owner is proud to announce the arrival of a new American Bulldog to their household. Madeline, pictured here, resembles Ceasar and Julie, but is of no relation. When the time is right in the future we hope to bring you results of the breeding of these two handsome American Bulldogs. 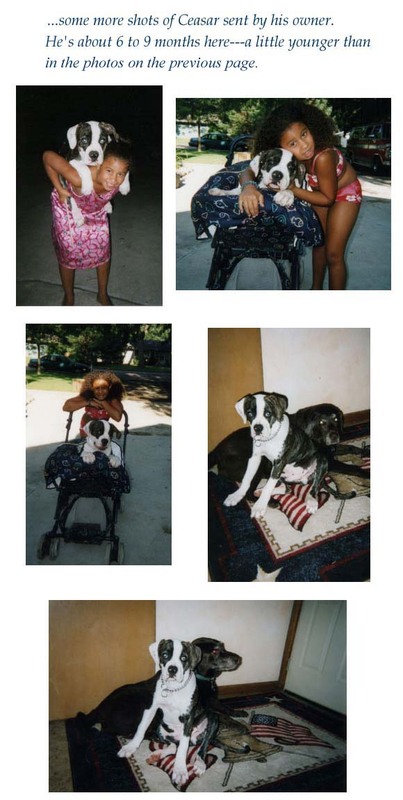 As of December 2004, Ceasar and Madeline are pround parents of a great litter of American Bulldog puppies. Click to see them. We are very sad to have to report to you that Tyson passed away last week. He died during a lightning storm apparently from natural causes brought on from being startled by the thunder. He passed quickly and painlessly. He was ten years old and his owner and friends will miss him greatly. As reported earlier we were ready to breed Sugar and Tyson for the second time this fall. Sugar has just gone into heat and was unfortunately not bred by Tyson before he died. We've had the very good fortune to find a stud to breed with Sugar. He happens to be Tyson's son and we're still hoping for puppies again by Spring. Keep checking as we will have pictures of Rocky and keep you informed of the results of this breeding.